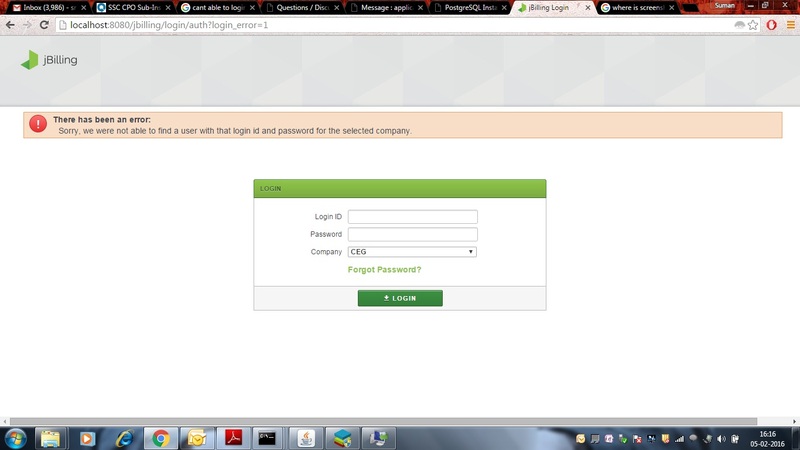 cant not able to login .. after singing up .. 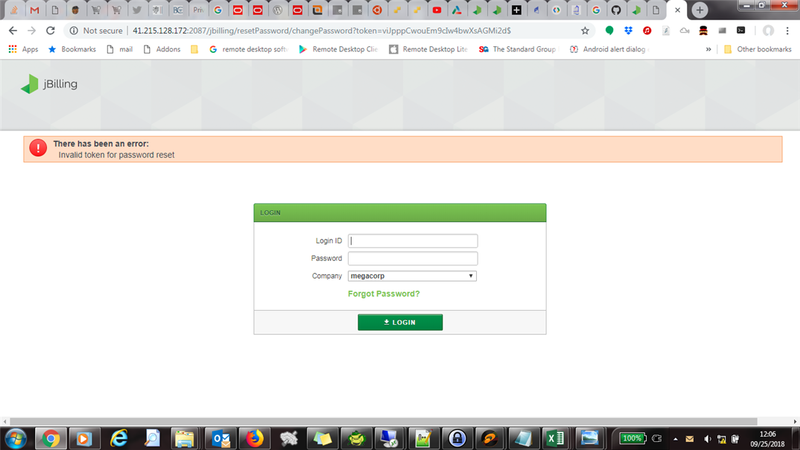 Invalid token for password reset"
from the reset password url starting with *%20Admin* onwards. hi technical team.. will you please tell me where the database is stored in jbilling?? dialect = "org.hibernate.dialect.HSQLDialect" driverClassName = "org.hsqldb.jdbcDriver" username = "sa" password = "" url = "jdbc:hsqldb:file:hsql/localDB"
give below is the connection to postgres db for reference. How should the token be copied? Sorry, this was such a long time ago. I think I had a copy paste error, and eventually figured it out…. Thanks for the response,will try again and see if its a copy paste error.